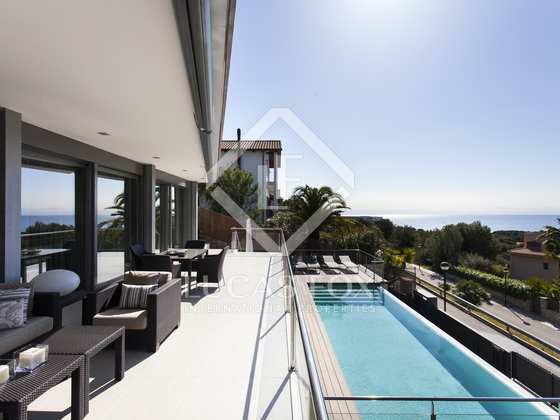 Located on a street in the Can Girona area of Sitges, with the best panoramic views over the green and out to sea, we find this large high-end family home for sale. 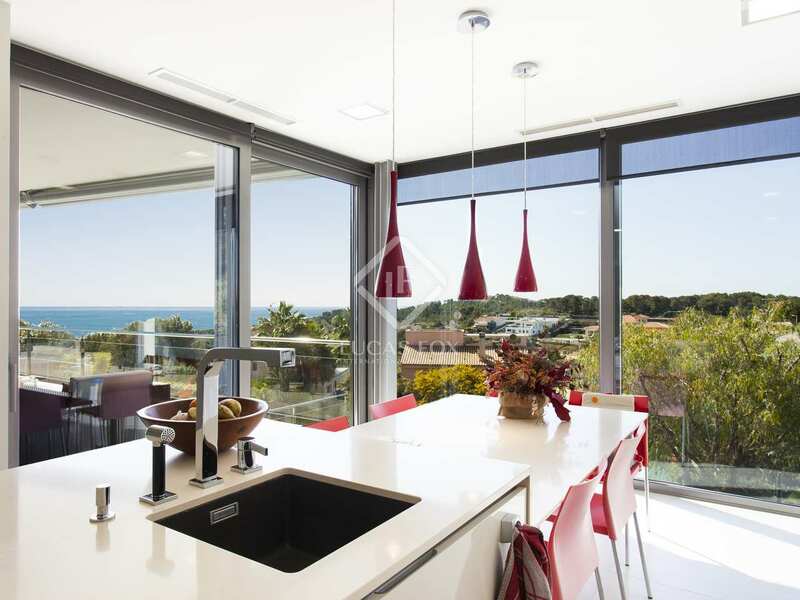 Sitges centre, with all of its shops and cafes as well as the beach and train station, is just a 5-minute drive away. Built in 2010 and presented in immaculate move-in condition, this Mediterranean dream home is surrounded by private outdoor space and enjoys wonderful panoramic views. There is a large terrace to the front of the house with an outdoor dining and relaxation area and swimming pool, a side terrace with a barbecue area and a flat garden to the rear. 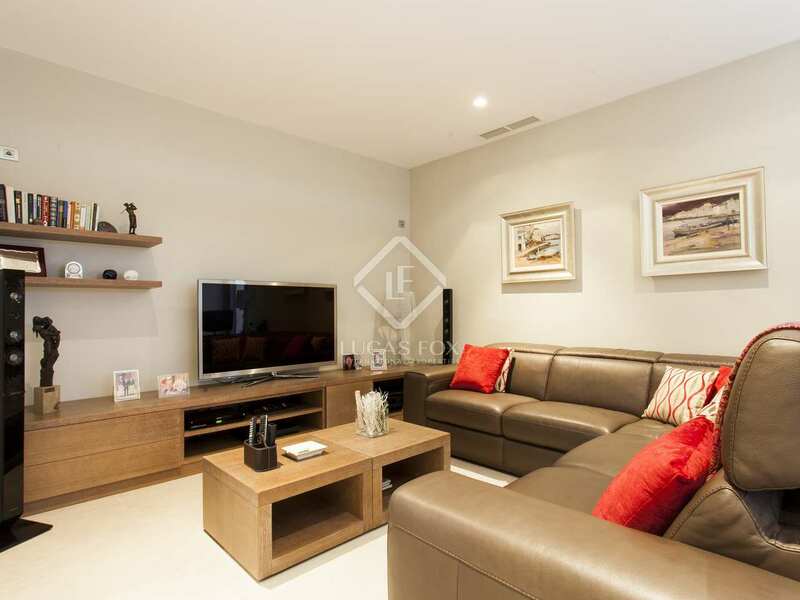 On the entrance level we find a 2-car garage, an entrance hall with a lift, an en-suite double bedroom and a complete guest area with a living room, bedroom, bathroom and separate access to the terrace and pool area. 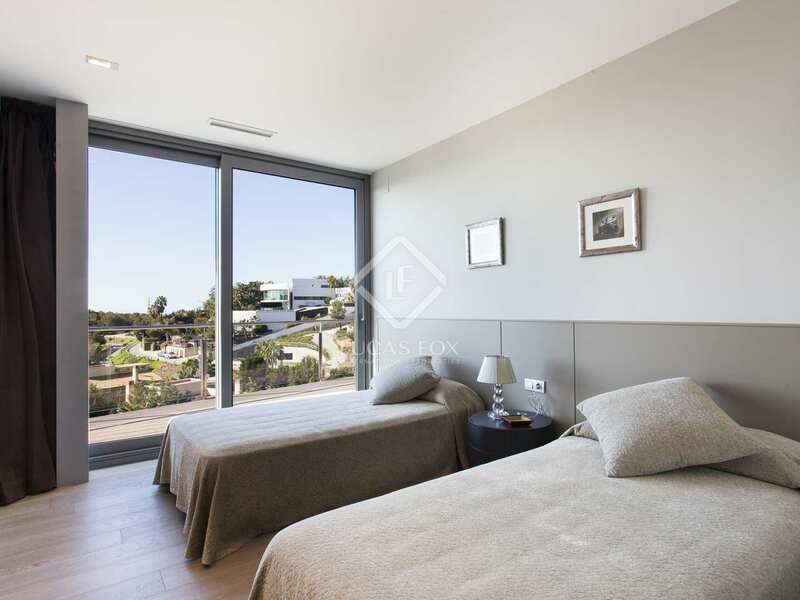 The first floor houses the spacious living and dining area with access to a large terrace, a fully equipped luxury kitchen and a utility and service area with a bedroom and bathroom. 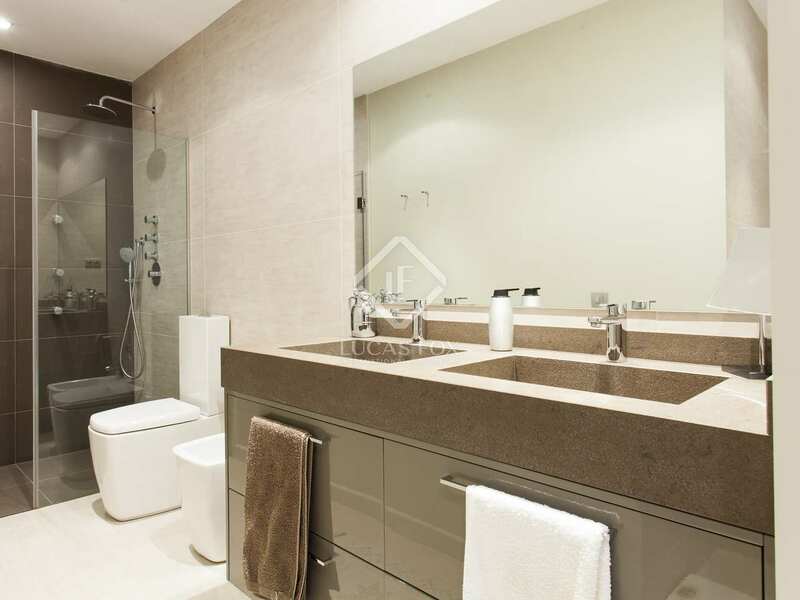 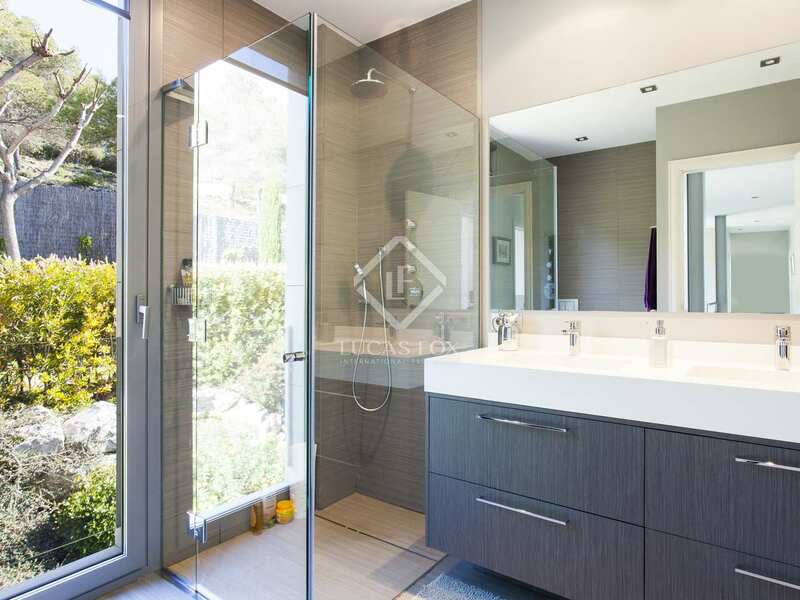 On the top floor we find 2 double bedrooms, a family bathroom and the master suite with its own bathroom. 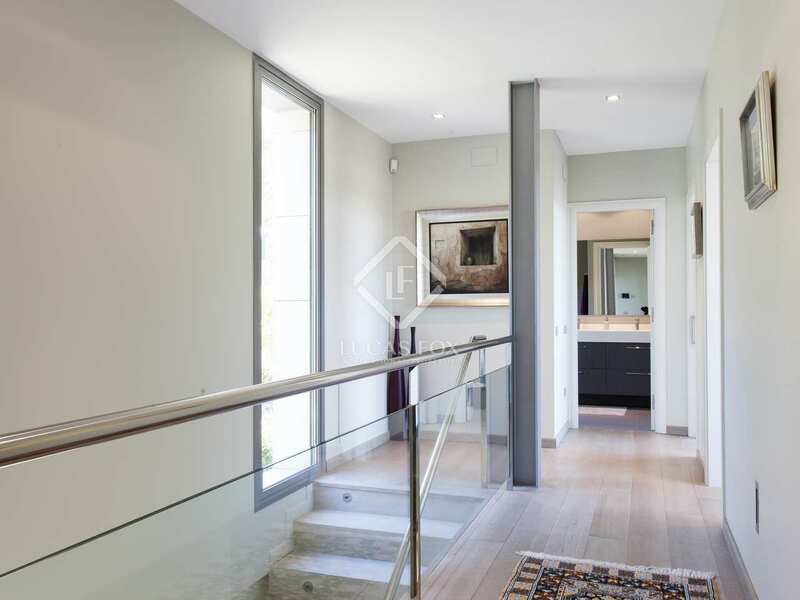 All of these bedrooms enjoy access to terraces and this floor leads out to the property's rear garden. 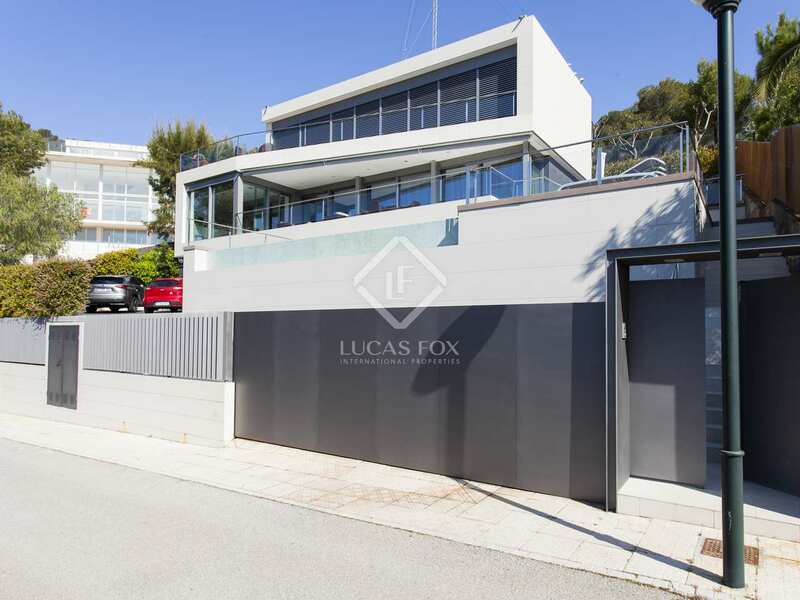 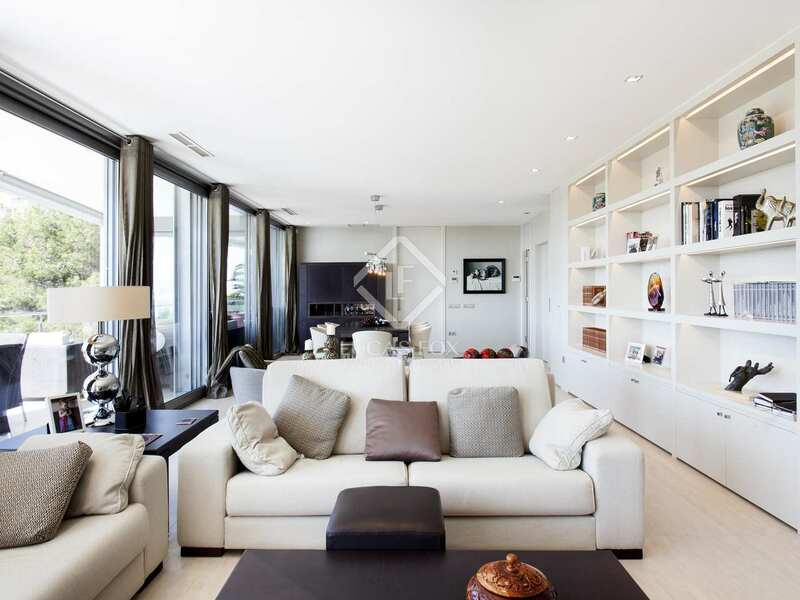 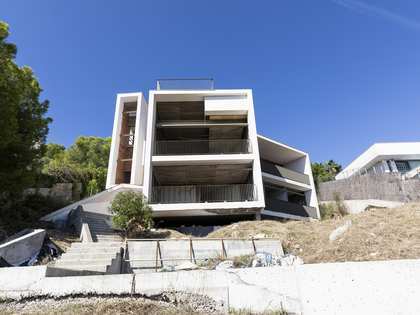 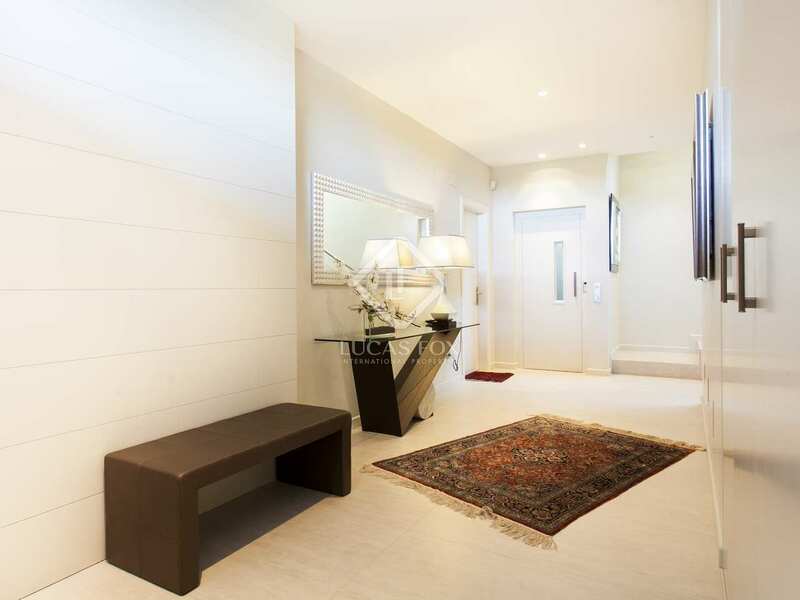 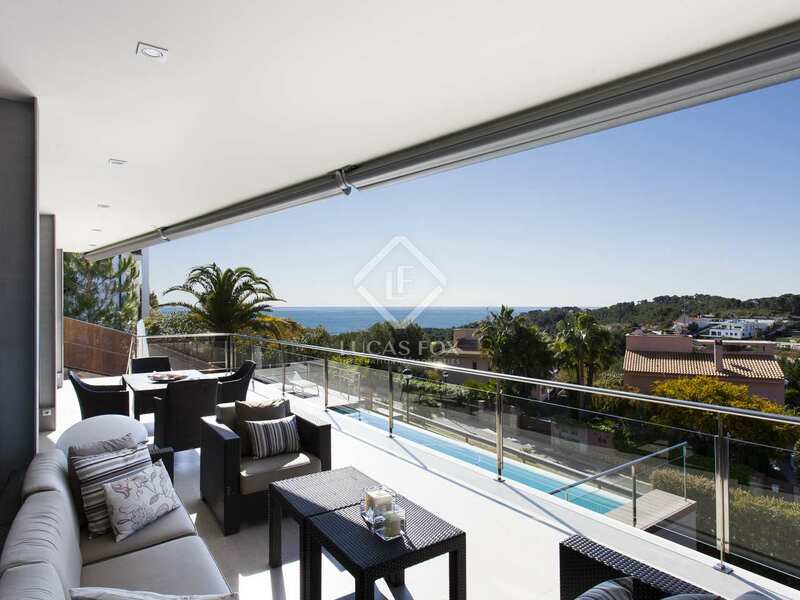 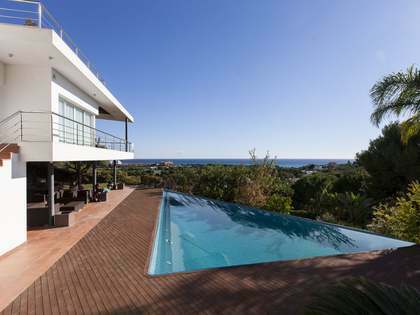 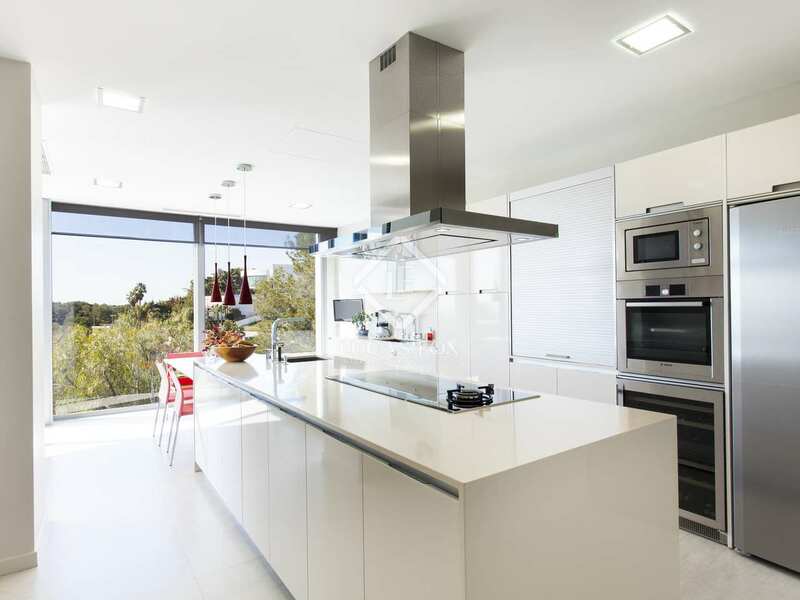 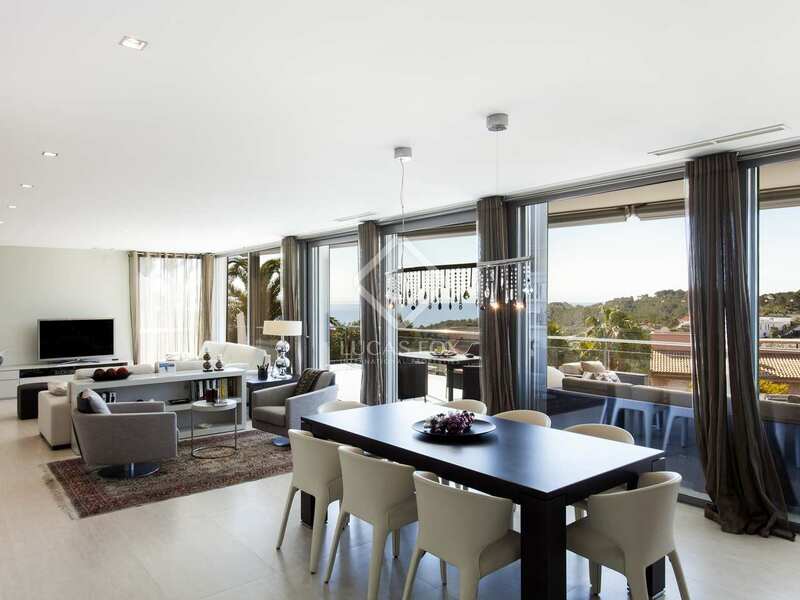 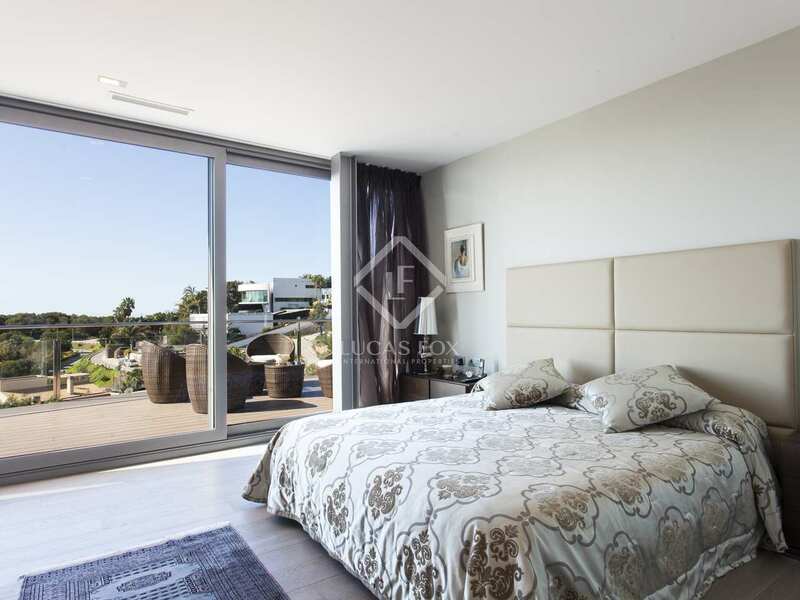 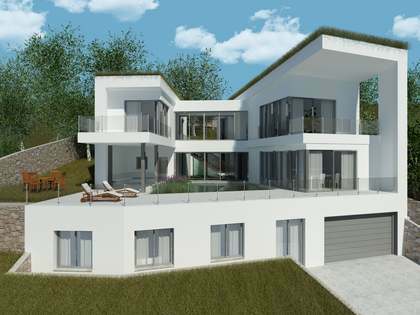 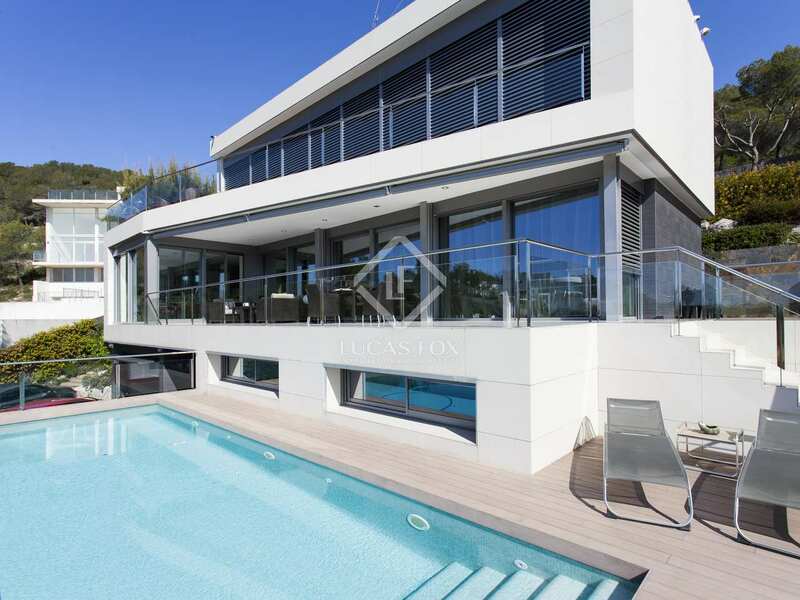 The perfect luxury home in one of the best areas of Sitges with high-end finishes throughout. 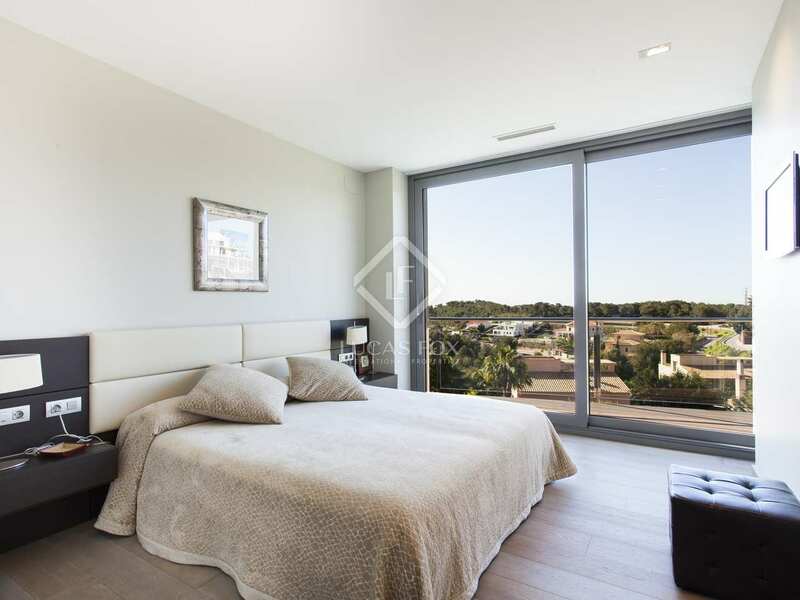 The property is located in Can Girona in Sitges, with the shops, restaurants, beach and train station is just a 5-minute drive away. 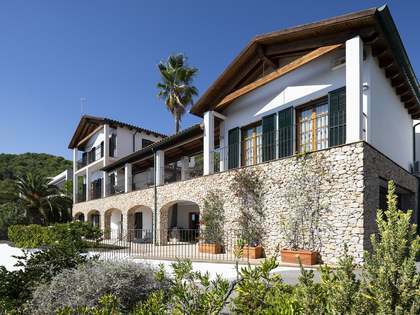 The Garraf National Park is walking distance from the property.